Looking for a fun way to spice up your camping trip? These fun props are perfect for a camping photo op! 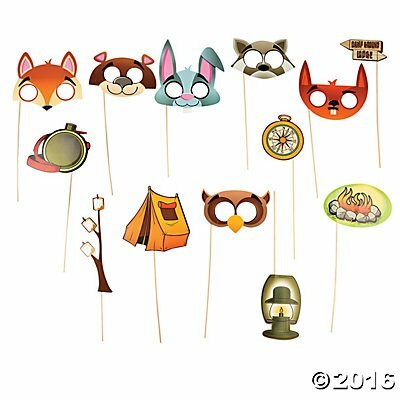 4 1/2″ – 10″ x 1 1/2″ – 12″ paper props on 12 1/2″ wooden sticks.